There’s a reason today’s ubiquitous pop hits are so hard to ignore—they’re designed that way. The Song Machine goes behind the scenes to offer an insider’s look at the global hit factories manufacturing the songs that have everyone hooked. 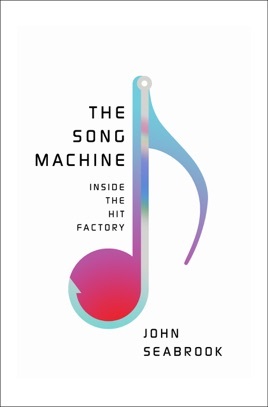 Full of vivid, unexpected characters—alongside industry heavy-hitters like Katy Perry, Rihanna, Max Martin, and Ester Dean—this fascinating journey into the strange world of pop music reveals how a new approach to crafting smash hits is transforming marketing, technology, and even listeners’ brains. You’ll never think about music the same way again. Traveling from Sweden and South Korea to Los Angeles and New York for interviews with a wide array of songwriters, producers, and artists, New Yorker writer Seabrook tunefully delivers a soulful refrain on the multilayered process of building hit songs today. He profiles Soo-Man Lee, founder of SM Entertainment and architect of K-pop, who created a manual detailing steps necessary to establish a winning artist: which chord progressions to use in songs, which camera angles for videos, and when to import foreign producers or choreographers. Denniz Pop's vision of making the hits involves using a factory of Swedish songwriters who would create hits for British and American acts, combining the beat-driven music people danced to in clubs with the pop music people listened to on the radio. Seabrook also profiles Lou Pearlman, who engineered the Backstreet Boys and mismanaged their careers, and Britney Spears and Rhianna, examining the formulas for their pop successes. Seabrook almost giddily explores the ways that hit songs hook the listener when the "rhythm, sound, melody, and harmony converge to create a single ecstatic moment, felt more in the body than in the head." 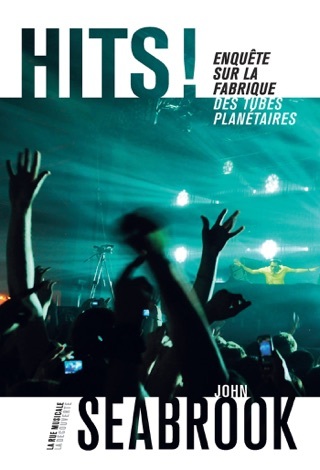 This book is fairly up to date with current practices in the music industry, songwriting, music celebrities, industry tensions brought about by technology. After reading this I deceided I need to read books more often. Mr. Seabrook lifted the curtain and showed me the man pulling the levers behind the soundtrack to my childhood. As a 2000s era teen I was riveted by the boy band stories. 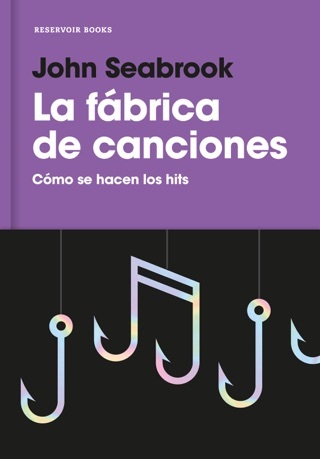 Without divulging any spoilers, what made this book read like an enriching guilty pleasure was the common thread Mr. Seabrook wove through the history of hits. Seabrook is thorough, thought-provoking, and talented. Well done sir.